It is very easy to think of mental illness as being “something that happens to other people” but, in the same way that the health of our bodies fluctuates and changes during the course of our everyday life, so, too, I believe does the health of our minds. In this post, I’m sharing my own mental health struggle which centres around Obsessive Compulsive Disorder, or OCD. This, in itself, is the very reason why mental illness should not be stigmatised and the reason why we should discuss it. For example, most people suffer from anxiety of sorts. It’s just that it is on a spectrum, rising and falling along with the events of our daily life. My own problem falls within, I believe, the area of an obsessive-compulsive disorder. I cannot bear people touching my glasses. I know exactly what triggered this obsession. A very unpleasant break-up, combined with a miserable job situation led me to focus on making everything all right by having the nose pads of my glasses ‘just so’. The fact that I can logically assess what started it, however, is no help whatsoever in dealing with it. I went from compulsively checking the fit of my glasses to putting them on the tops of wardrobes in hotel rooms so that housekeeping staff would not accidentally touch them, thereby altering the fit. If relatives were visiting, I would make sure I had contact lenses in so that there was no chance of my glasses being knocked when they hugged and kissed me hello. If I went anywhere in a car, the glasses would have to travel in their special case in the glove pocket and the case had to be carried quite separately from my luggage so that they would not be knocked about in transit. 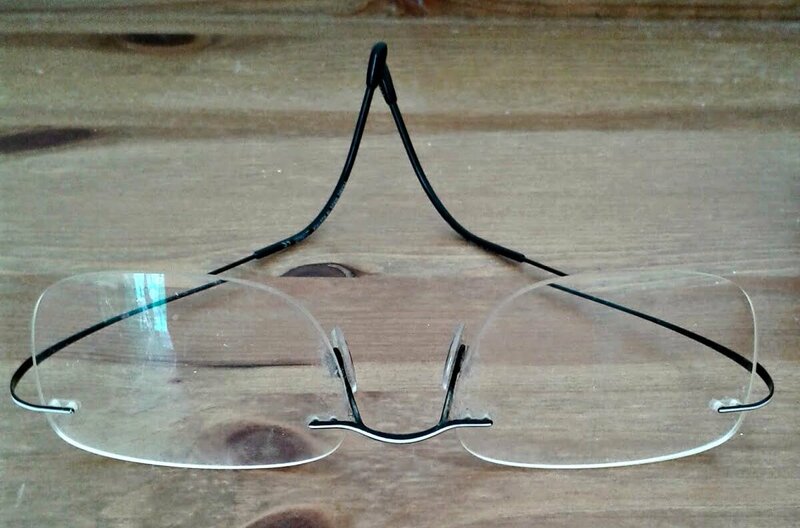 Today I have 4 or 5 pairs of glasses which sit on top of a chest of drawers, not in their cases because I cannot bear to fold the arms in case it alters the fit of the glasses. I rotate the various pairs throughout the day. I’m a lot better than I used to be. Having kids has helped me enormously. You can’t be cross with a child who knocks your glasses when giving you a loving hug and kiss, can you? But the first few times it happened I used to feel shaky and even a bit sick. The husband is resigned to this and is understanding – up to a point. My obsessions also extend to quite a bit of health-related anxiety, extending to my teeth, jaw, back, ears and any other bit which doesn’t seem to be functioning quite right! I tell you this because I want you to understand that it is OK to be like this. This is what happens to humans when they are under stress and need love and understanding. Something interesting happened, however, when I asked my blogging friends to share the strange rituals and habits that they live with on a daily basis – so that I could share them with you and help you to feel better if you are like me. Some reacted with quite a lot of anger. They objected to my using the word “quirk” to describe these behaviours. They wanted to make quite sure I was not going to encourage the use of the term OCD as an adjective (for example saying “oh that’s so OCD” to describe somebody fussing) because it is unfair and disrespectful to those suffering from conditions like this. Fair point, however, we have to talk about mental illness so we can understand mental health. We have to hold these conditions up to the clear light of day to educate and inform and to teach our family and friends to help us make our lives as rich and fruitful as possible. Make no mistake, they suffer along with us and they need coping strategies too. And if we don’t talk about things like OCD, how will we ever find the right words, the kind words to help people to deal with it? Nobody would expect a cancer sufferer to keep their feelings to themselves and not discuss their cancer diagnosis, would they? Our hospitals are not full of people stoically keeping their symptoms to themselves. Talking can be part of the cure – for the sufferer and their family. What was incredibly reassuring to me was the number of bloggers who were kind enough to share their behaviours and I list some of them below so that you can see just how common it is to deal with anxiety by adopting certain rituals. Sarah Louise: “My partner has bad OCD. He has to make sure every door, window etc is shut before we go out and he will stare at it talking to himself before he moves on to the next door or window. He takes absolutely ages to lock up but won’t let anyone else do it. He will physically hurt his hands and fingers locking a door as he said he has to ‘feel it locked when it can’t turn anymore’ until he can rest. He will stand turning a key in the door for ages and if you talk to him while he’s locking up he has to do it all over again. Tina: “I have to bleach my toilet three times a day, my rug has to line up with the sofa and the fire.”. As you can see, there is a myriad of ways in which our stress and anxiety can express itself through odd behaviours. Nobody could deny the misery of suffering from OCD at a level where it is interfering with everyday life but equally, I think it helps to acknowledge those of us at the lower end of the spectrum may be suffering too. I think I have just about got my ‘glasses thing’ under control but I know I’m stressed because I start to slip into my old ways – checking that the nose pads sit equally on my nose, for example. Even my optician is used to my “glasses thing” and he tells me that he has other clients whose anxiety manifests itself in the fit of their glasses too! So what exactly is Obsessive Compulsive Disorder (OCD)? Much helpful information can be found on the website of OCD-UK and on the NHS‘s own website. Current estimates for the UK population are that there are potentially around 741,504 people living with OCD at any one time. A disproportionately high number, 50% of all these cases, will fall into the severe category, with less than a quarter being classed as mild cases. OCD presents itself in many guises. It is not just hand washing or checking light switches. OCD sufferers may experience obsessions “which take the form of persistent and uncontrollable thoughts, images, impulses, worries, fears or doubts. 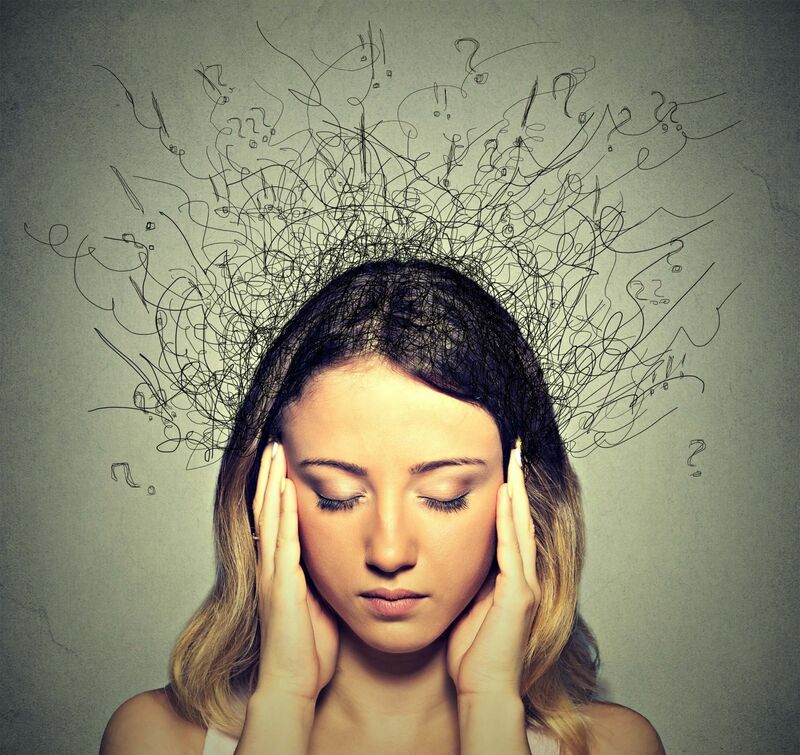 These thoughts are often intrusive, unwanted, disturbing, significantly interfere with the ability to function on a day-to-day basis as they are incredibly difficult to ignore. People with OCD often realise that their obsessional thoughts are irrational, but they believe the only way to relieve the anxiety caused by them is to perform compulsive behaviours, often to prevent perceived harm happening to themselves or, more often than not, to a loved one. Compulsions are repetitive physical behaviours and actions or mental thought rituals that are performed over and over again in an attempt to relieve the anxiety caused by the obsessional thoughts. Avoidance of places or situations to prevent triggering these obsessive thoughts is also considered to be a compulsion. But unfortunately, any relief that the compulsive behaviours provide is only temporary and short-lived, and often reinforces the original obsession, creating a gradual worsening cycle of the OCD.” [source: OCD-UK]. If you are suspect you are suffering from OCD or any other mental health-related issue, please talk to your GP or visit the charity OCD-UK who have plenty of information about OCD and related disorders. Alternatively, there is the website of The Mental Health Foundation who are the organisers of Mental Health Awareness Week at www.mentalhealth.org.uk. If all this feels like too much, a starting point may be an honest chat with a trusted friend or family member. And it doesn’t matter which words you use to describe your anxieties. Actions always speak louder than words, I find and being kind to yourself by seeking help is the first crucial step. An update: since I wrote this post nothing much has changed, except that dealing with my compulsion is part of my daily life and I have learned to accept it for what it is – as have my family. I am able, however, to recognise that some days are worse than others and having experienced OCD for a long time (however mildly), I know that things will get back on an even keel. What is more challenging, however, is to work out what triggers it and to put strategies in place to prevent that. The Husband says that everything goes in cycles with me and we have worked out that holiday periods are definite triggers. Knowing your triggers really helps. "Free & Bargain Books Linky 14/05/2018"
"My Sunday Photo – 13/05/2018"
I never knew Mental health awareness week existed until i saw bloggers writing about it. It's good to see it's now getting recognised more. I agree. There must be so many people suffering in silence. I used to be a psychiatric nurse and once worked with a lady who had an obsessive/compulsive disorder about washing her hands. I worked with her on a Cognitive Behaviour Therapy programme. OCD can cause misery for the sufferers. Well done in coming out about your disorder Linda. Thanks Mel. It's very strange doing something that you know is totally illogical whilst being unable to stop it. I have had some counselling which drew a bit on CBT but it is something I'd like to try. Great honest post. Sorry to hear that you have this problem but I am glad to hear that you are dealing with it well. I don't think there is any problem with referring to OCD as a quirk and talking about it, posts like yours may help other people who are suffering in silence realise that they are not alone. I saw the uproar over your sourcing for this post… The trouble is, society has been so use to using a name of a mental illness as an adjective that people automatically assume. Thanks Beth. I was a bit taken aback to be honest but I completely understand why some of the bloggers feel the way they do. But it's so hard for others to understand, it's quite difficult to explain without sounding glib. Another member of our family has OCD and it's hard to explain even within our own family. This is the first year I've really been aware of Mental Health Week too. Let's hope it goes from strength to strength. Thanks for stopping by. Mental Health Week is important for raising awareness and really nice to hear some personal experiences being shared. Very relatable for a lot of people!